Yokohama is a mega city located in Kanagawa Prefecture, to the south of Tokyo. “Minato Mirai” in particular is popular for its many touristic spots such as the “Land Mark Tower”. At “Minato Mirai”, the “Osanbashi” Pier is a very attractive spot. A night view from the “Osanbashi” Pier is breathtaking. It is recommended to take shots of the view with the sea and skyscrapers. 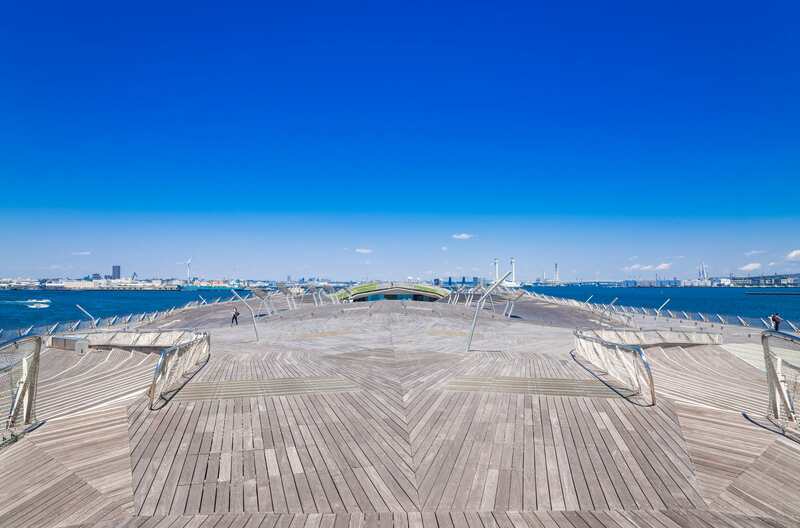 In this issue we introduce the charming “Osanbashi” Pier. If you are interested in taking photos, please see “Top 10 Photogenic Spots in Yokohama”. The “Osanbashi” Pier is a touristic spot located in “Minato Mirai” area, Naka-ku, Yokohama-city. The history of the pier goes back to 1894 when the original modern pier was built. The pier was reconstructed six times and the latest one was built in 2002. There are attractive spots and particularly “Kujira-no Senaka” (meaning a whale’s back) is popular. Since the pier is located outdoor and open for public 24 hours for free, people visit there to spend a relaxing time. Furthermore it is a suitable spot to take photos of luxury passenger ships. You can also board a cruise ship there. Views from a cruise ship are magnificent and you can dine at a restaurant in the ship. It is recommended that you walk around the pier first and board the ship. In the terminal building there is a hall where events are held regularly. Why not visit? The “Osanbashi” Pier has many attractions. 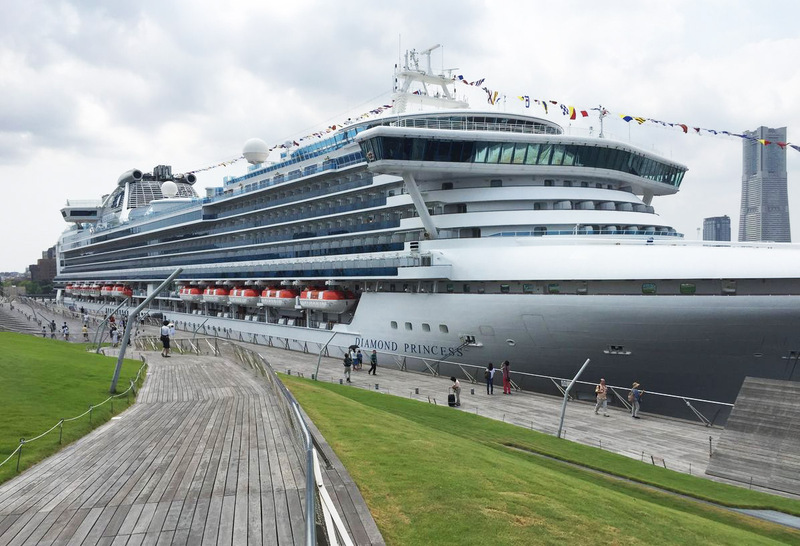 The “Osanbashi” Pier is an ideal spot to take photos of luxury ships. They are gigantic and charming. The best moment to take a shot is when the ships are entering the port. You can take a nice snap with the terminal building of beautiful architecture along with luxury ships. At night it would be even more enchanting with light ups. It is truly a photogenic spot and highly recommended to luxury ship lovers. At the “Osanbashi” Pier, the rooftop of the terminal building is familiarly called “Kujira-no Senaka” meaning a whale’s back because of its shape and design. On the deck of the Whale’s Back, Yokohama Three Towers are painted. Three Towers are nicknamed “King” (the Kanagawa Prefectural Office), “Queen” (the Yokohama Customs House) and “Jack” (the Memorial Hall of Opening Port). The towers are painted simply yet characteristically. A photo of the paintings makes you feel as if you were in the photo. If you want a photo as a wedding photo, why not make a pose with the paintings? It would look like an art. 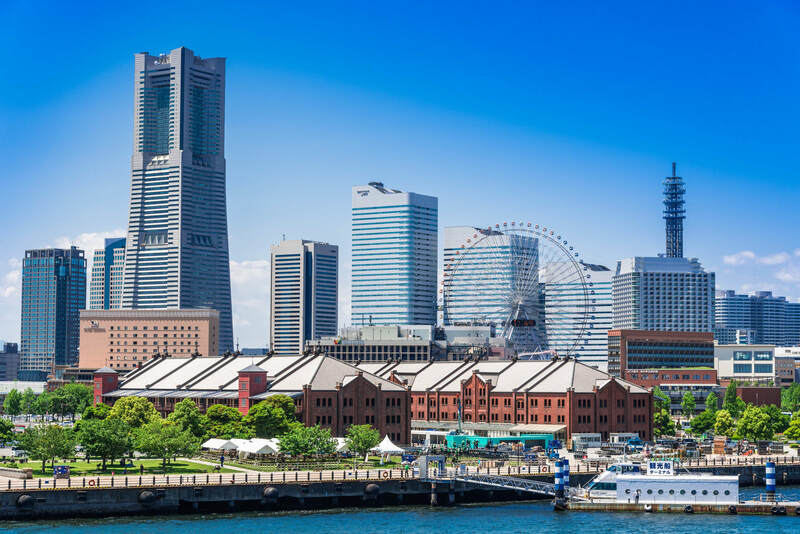 Yokohama has 5 attractive spots namely the vicinity of Yokohama Station, “Minato Mirai” area, “Yamashita Koen” Park, “Kan-nai” district and China Town. There are nostalgic shops reminding the good old “Showa” Period near the west exit of Yokohama Station. At “Minato Mirai” there are well known popular spots such as the Red Brick Warehouses and the “Osanbashi” Pier. “Yamashita Koen” is a romantic spot for young couples to enjoy scenic views of Yokohama. There are old western style buildings in “Kan-nai” district, and of course you can enjoy the Chinese cuisine and culture in China Town. The history of Yokohama goes back to the end of the “Edo” Period when Japan opened its door to the rest of the world. Since Yokohama has developed in its own way with influences of foreign civilization, it has become one of major cities in Japan. We recommend you a Yokohama Photo Tour in “Kimono”. 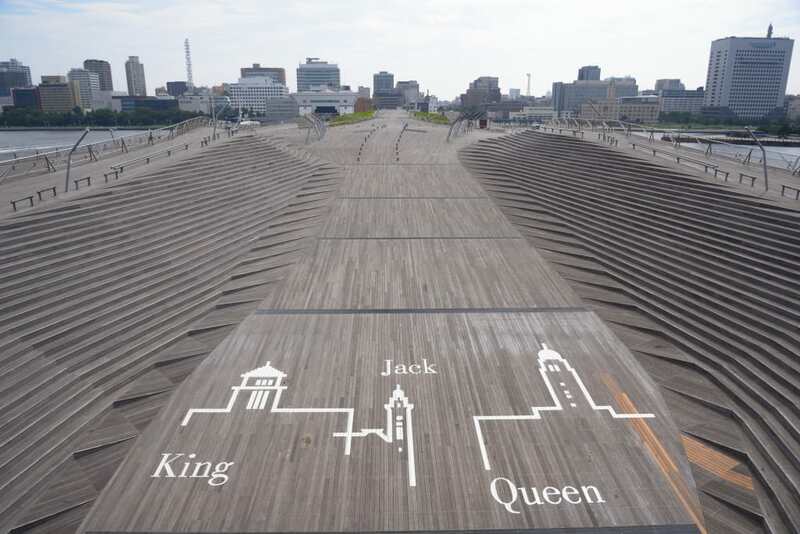 You will visit “Yamashita Koen” Park, the “Osanbashi” Pier, etc. The main attraction is to enjoy a night view in “Kimono” from the “Osanbashi” Pier. 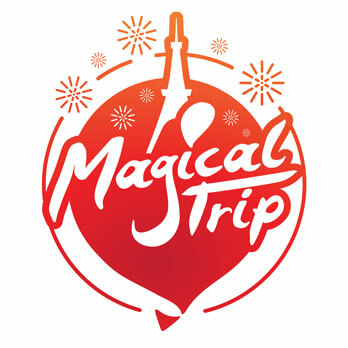 Highly recommended to foreign tourists!